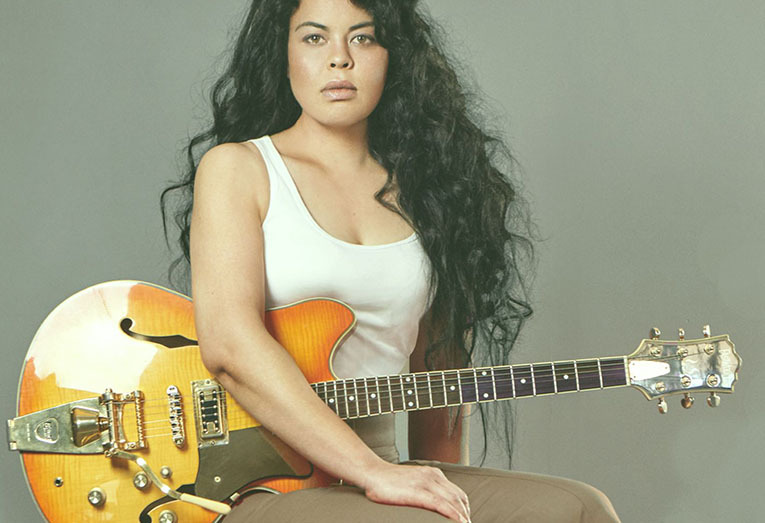 Karen Lee Andrews has reconnected with her guitar, hitting new strides and a new style, which can only be described as Oceanic Blues. And now this commanding Polynesian woman of soul is back with her own original music and new EP. Her sound is an exceptional blend of American Blues and Soul. The roots of the sound are gritty guitar, glowing valves, lush tremolo and deep reverb in a distinctively fluid Oceanic expression.